Take a look at this great post at Retro Renovation. Bathroom remodeling projects are some of the more complex projects you can undertake – there are just so many details to consider! This article offers a great list of costs that you may not consider when creating your project budget. If you are aware of the costs in advance, you can plan accordingly and avoid any unpleasant surprises along the way. If you’ve ever taken on a bathroom remodeling project, I’m sure you learned some valuable lessons along the way. 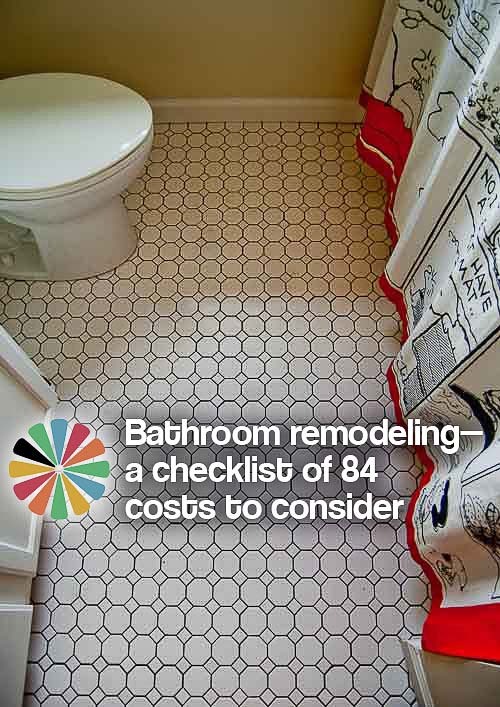 Please leave us a comment and share your insight on the hidden costs of a bathroom remodel. I’d add one more cost to the list…the cost of hiring an interior designer. While I may be a bit biased, 🙂 I do think it is a good investment to hire someone who can guide you through the selection and remodeling process. Remodeling projects can easily become overwhelming, and a designer can help you navigate this unfamiliar territory. What would you add to the list?